I think there's a lot of confusion floating around about what inspection "readiness" really means. Here's how it works. OBD II was designed to make tailpipe testing unnecessary. Therefore the PCM tests the emissions control systems on its own. The ECU can't always take a "snapshot" of sensor data to know whether a system is working right. It takes time and certain types of driving conditions to know for sure. -- Evaporative system: the test that makes you throw a code when the gas cap is loose. EVAP systems are actually crazy complicated. -- Oxygen sensor: the PCM checks for a particular signal curve over time. The exact test depends on the sensor's position (Front or rear) and whether it is a wide or narrowband sensor. There's also tests for the the O2 sensor heater. After you disconnect the battery or clear codes, most of the readiness monitors go to "Not ready." It is a myth that you need to drive x miles for the car to be "ready" for inspection. There's no set number of miles. I've passed inspections after less than 50 miles of driving sometimes. It just depends. The best way to determine whether your car is ready for inspection is to hook up to a higher end OBD II scanner if you have one. I have one of the big orange Actron scanners (Actron CP9180) that you usually see being used by auto parts store employees. It was maybe $120 new off ebay when I bought it a while ago. Now I'm going to demonstrate me checking to see if my car will pass inspection. This is my daily driver, a 1997 Infiniti Q45. My 1988 Rx-7 Turbo doesn't even have a check engine light! The first shot here is of the main menu in the Actron CP9180. I have two choices. 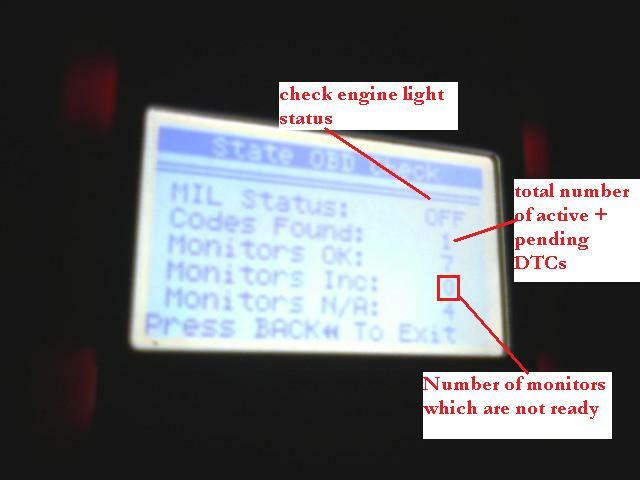 I can select "State OBD Check" to get a summary of my readiness monitors and DTC's. I can also select "I/M Monitors" to get a breakdown of all the readiness checks in the PCM. So first I select "State OBD Check." From this screen I can see that the check engine light (Malfunction Indicator Light) is not active. I do have one DTC however, but it is a "pending" code that has not yet tripped the MIL. This number could be "3" if I had two active codes and one pending code. 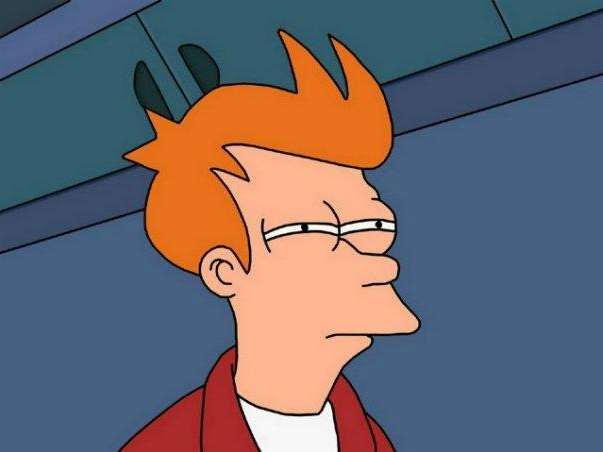 Then the scantool separates my readiness monitors into 3 categores: OK, Incomplete, or Not Applicable. 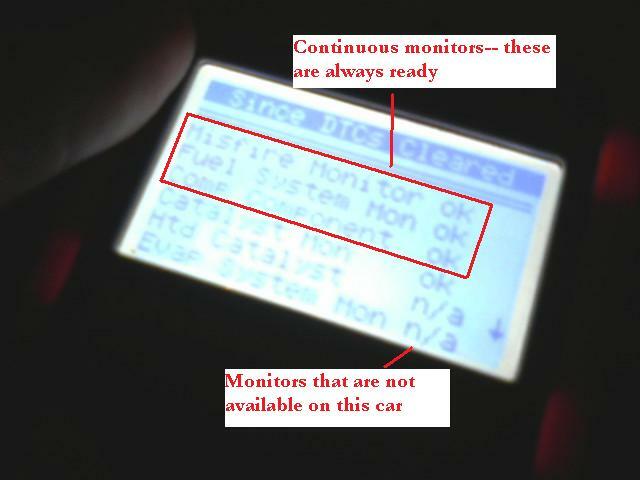 Any 2001+ car must have all but 1 supported monitor set as "OK." Only 1 readiness monitor can be set flagged as "incomplete." This car will pass an inspection because the MIL has not been set and all monitors are ready. 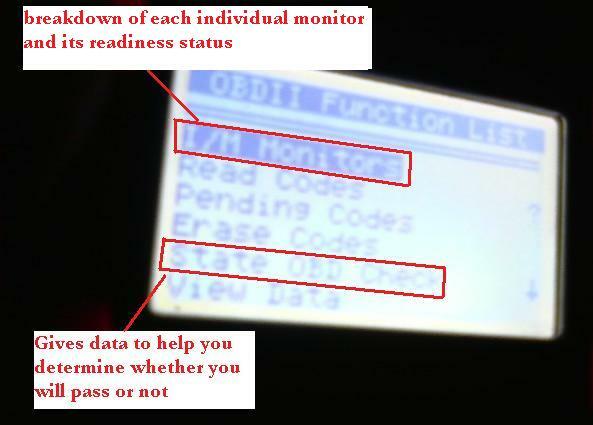 Now let's take a more detailed look at my list of readiness monitors in the "I/M Monitors" screen. Those top three are my continuous monitors. Those three are always active. Any monitor that is not supported is listed as N/A. This particular car has an EGR readiness monitor but it does not have an EVAP monitor. Any monitor that requires some sort of drive cycle is called a non-continuous monitor. Those are the ones you are waiting on when you visit the inspection station. 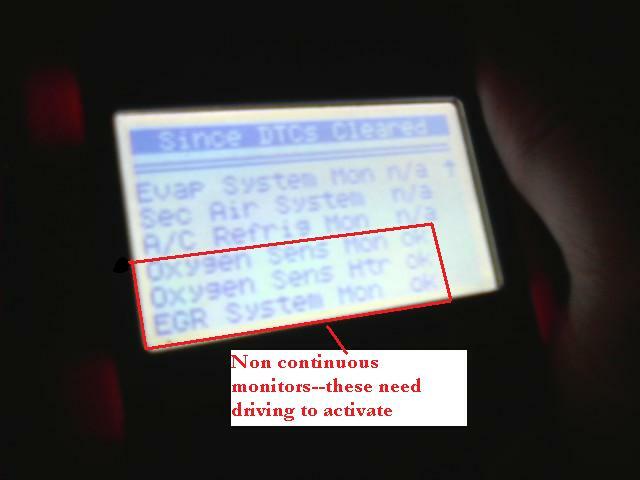 In my experience the Catalyst monitor and the EVAP monitors take the longest to be set. 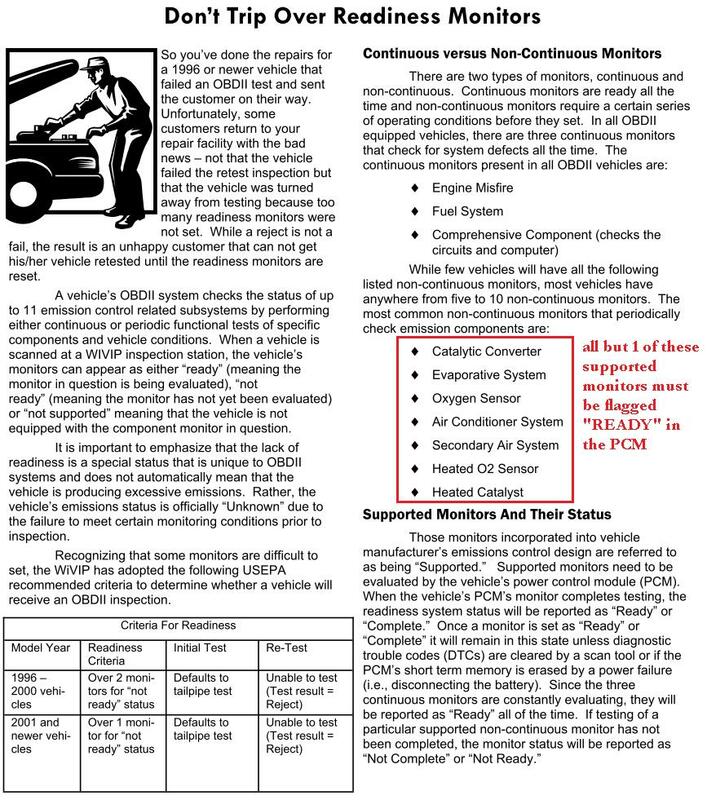 I hope that clears up some confusion about OBD II inspections and "readiness" tests. Engines don't just arbitrarily become "Ready" after x number of miles or x number of drive cycles. PCM's go through a series of tests to make sure the components are working, and different criteria must be met for every engine. A lot of inspectors really don't understand this system fully. They just do whatever their inspection tool tells them. Thanks for posting this up. It's very informative. If there's someone with a service manual: I wonder if it contains the RX8's specific drive cycle requirements. Good idea. Here's the drive cycle in the service manual. I ran the drive cycle today specified from the excerpt from the manual. I should be able to bring it in either Saturday or Monday next week and will report back. Service manuals can be tricky to navigate if you don't have much experience with them. I went back to the emissions testing station today and am still not "ready." they stated the cat sensor and O2 sensor are not ready yet. I called my Mazda dealer and they said it should take 4-5 drive cycles (cold start to full warm) but that there was no special drive cycle for these sensors just put some miles on the car. Any thoughts or suggestions? At this point I have put 5 drive cycles on the car and ~150 miles on it since I re-installed the AP and cleared the memory. I think I should be good to go at this point but clearly am not so I'm nervous about not being able to get the sensors to set and not being able to pass emissions before the end of the month. Any suggestions on this would be appreciated. Just took it back after putting on two more cold start drive cycles and 200 miles on the car and still "not ready"
any other specific drive cycle info? Jeff mentioned it may take a certain amount of full warmup cycles due to the cold. Edit: The dealer has confirmed it's the cat. sensor. They've replaced it and recommended 2-3 cold start to warm up drive cycles. Hopefully I can get this done by Saturday and bring it back for an emissions check. Last edited by shaunv74; 12-31-2009 at 02:45 PM. I passed the OBDII emissions check today. The bad sensor was the problem. Because I had a bad sensor when I reset the computer it could not set the readiness monitor (rightly so). It easily set once the cat. O2 sensor was replaced. 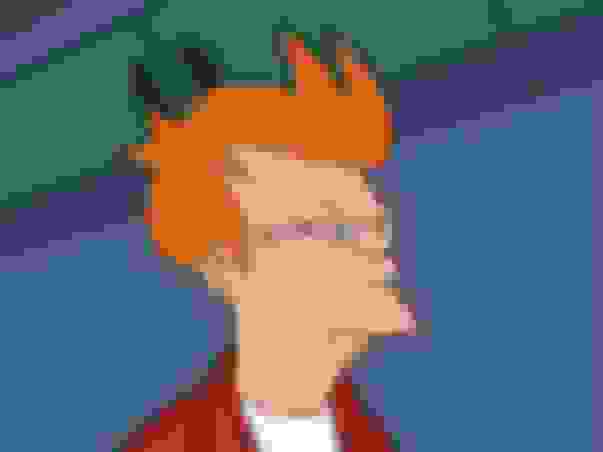 The MM AP tune masks this CEL so I didn't know I had a bad sensor until I uninstalled the AP. This worked like a charm for my 09 R3. It was stuck in Not Ready mode for about 30 miles after disconnecting the battery and this fixed it by mile 51. Thank you everyone, and special thanks to the OP. BEERS! This thread has been a huge help to me. - In Ontario we are allowed 1 "NOT READY". - Important point for Ontario peeps, you are only allowed 2 yes 2 temporary 10 day plate stickers after that you are toast. And yes the guy at the garage told many stories of average peeps with normal cars that could not get a "READY" and had to drive on a expired plate sticker. From what I could tell from Tech Dewd this seems to be a particular problem in the winter trying to get the emissions to "READY" (so make a note of that if you need to get a emission test in February). Tech dude also said it's mostly the EVAP that doesn't "READY". - I followed the above drive instructions and everything worked great, except EVAP .. that's black magic. In a nut shell. From a reset ECU this morning I performed the above procedure and was passing drive clean with one "NOT READY" EVAP in the same day. Last edited by wcs; 04-27-2017 at 09:26 AM. wonder if you could pass with midpipe if you time the test just at the right time? I've heard of one trick where you can install a spacer to pull the rear O2 sensor out of the exhaust stream to fool it if you're running cat-less. 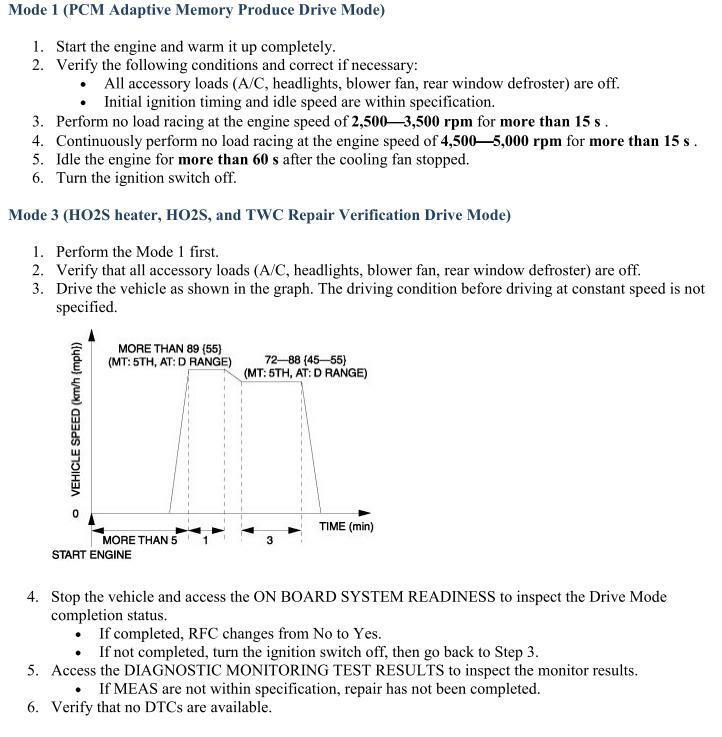 Just so this bad information isn't left hanging out there: This does not work for any car with an ECU designed in the early 2000's and later. This includes the RX-8. It does work on cars with older OBD-II ECUs from the 1990's that don't have countermeasures to detect it. Later ECUs have countermeasures to detect these tricks and trip a CEL. Thanks, I have since learned why I was wrong. No, the defouler trick does not work on the RX-8. Period. That may cure the P0420 code but it will cause a P0139. The PCM is smart and deliberately runs lean/rich cycles with a specific frequency. If the O2 sensor output doesn't respond correctly (if you've tried to fool it with an anti-fouler), it will throw a P0139 code.